One of the largest buildings in the Spur Historic District, the Keller Building is under the preservation efforts of the Friends of Spur Main Street who would like to turn the building into a visitors’ center or multi-purpose educational center. Built in 1927 to house the Riter Hardware Store, the building is unsafe due to the immediate threat of the roof collapsing. The building sat as an empty shell for the past 60 years partially because of neglect and a fire that destroyed the roof in the 1940s. 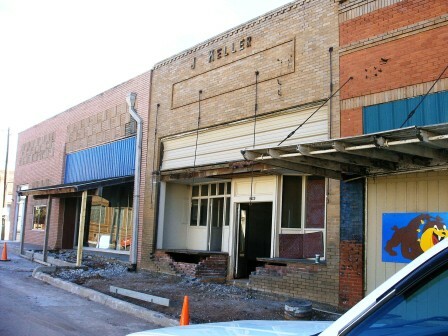 Because the City of Spur is economically challenged, the Keller Building is at risk. Without help from a foundation or other grant sources, the building decline cannot be stopped.